Painted in London in November of 2011. 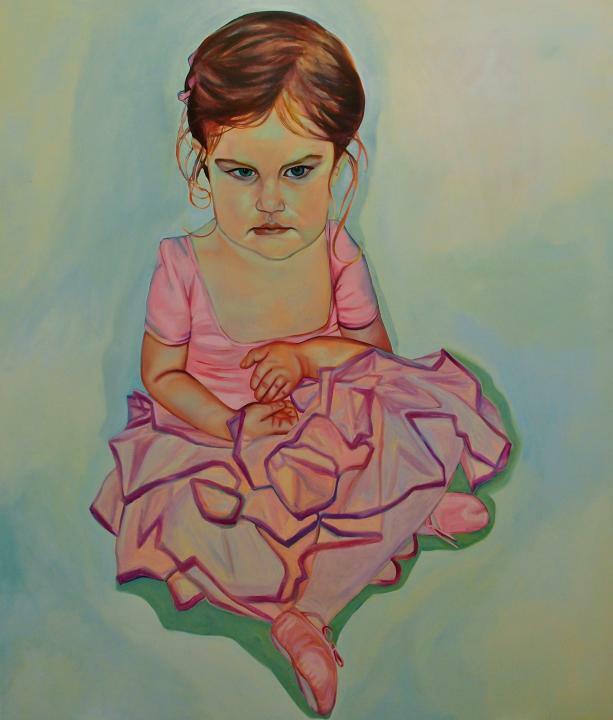 Prima Ballerina plays off of the figure of the disgruntled little girl, sitting pretty much in a heap, the folds of her tu-tu out of sorts like her. The little dancer's strong glare isn't so much at someone as much as it is about something. Has she been asked to sit out of her dance class, or even worse, her recital? The little girl's facial expressions and body language are more in tune with a prima donna rather than a prima ballerina. In all of the Prima Ballerina works, Nicky Hoberman, through altering tone and color, creates additional layers of meaning within the same emotional state.